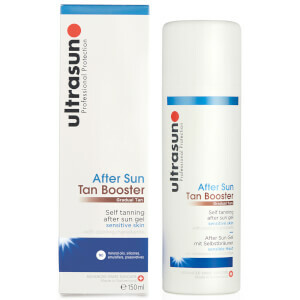 Prolong your glow with the Ultrasun After Sun Tan Booster, a soothing and gentle gel formula that extends your tan. Enriched with Questice(R) Liquid, which acts to cool and calm overheated skin, the aftersun lotion helps to replenish vital hydration after sun exposure. Expect comfortable and healthy skin from top to toe. Free from silicones, mineral oils, preservatives and emulsifiers.